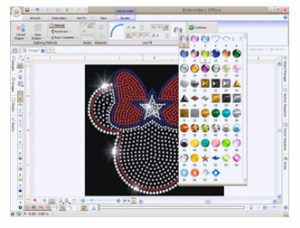 HotFix Era Rhinestone Design software is a powerful application designed to set your imagination free in creating custom rhinestone templates, rhinestone transfers and rhinestone decals. 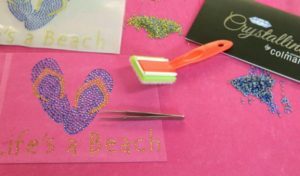 So if you want to use rhinestone software and make rhinestone transfers with your plotter, Hotfix Era is a great place to start! Watch Demo of automatically converting to rhinestones. REQUIRED reading >>> Please check here for computer system requirements. Find more information on complete Brush n Bake Rhinestone Systems and other Hotfix Rhinestones products on the rest of our site. HotFix Era rhinestone software for Stencil Making uses the Windows drivers for your Plotter/Cutter to cut the templates out of the material of your choice. We strongly recommend using Sticky Flock. While there are customers using Sierra software on Macs using Windows emulation software like Bootcamp, Sierra does not offer support for Mac OSX Users at this time. 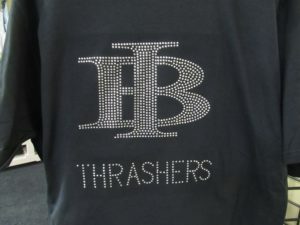 Keep in mind that rhinestone software isn't enough to produce rhinestone transfers, rhinestone decals and custom t shirts alone! 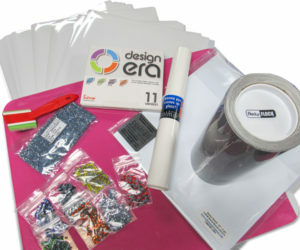 You'll need a plotter, rhinestone template material and supplies. Disclaimer: PLEASE understand that software is not produced by Colman & Co. From time to time the manufacturer may update, or alter, the software and its configurations. We do our best to keep up with changes and adjust demonstration videos. However, some videos may reflect some features the developer has altered. 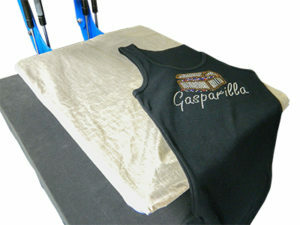 Example: a particular 'fill pattern' may no longer be included in the latest software version. We have created many videos for this software; some being several months old. The software you receive may differ from what you see. Contact us if you have specific questions. We'll do our best to reflect the true product and any changes made.